Dark, cloistered and clubby, this late-night-basement watering hole is run by veterans of Shanghai's bar industry. It is perfect for reveling the night away without costing the earth for a dance and a drink. The small dance floor and bar take up most of the room. There is some couched seating built into one wall and mini TV screens are fixed on the tabletops. On Tuesday nights there is a "2 4 1" drinks deal for singles. Every night has something different scheduled, with Friday as Tokyo Night, featuring Japanese techno. This steaming bar was the first Salsa club in Shanghai. Take a Latin dance lesson, or listen to The Trio Cantaro playing hot tunes on sultry Shanghai summer nights. Stepping out of a somewhat shabby elevator, you enter a magnificent hall with colonial furniture positioned in front and along the spacious dance floor. A narrow balcony provides excellent views of the Bund (Wai Tan) and the business district. Go up to the ninth floor rooftop terrace for more views. The eclectic menu has everything from hot dogs for CNY30 to caviar for CNY1000. Drinks are from CNY30 up. At last, Shanghai has a real jazz bar! The lightly colored walls and furniture, together with the miniature terrace at the back, gives this bar a Mediterranean feel. The larger hall to the right, where the Filipino jazz band plays, is dark with old-fashioned leather chairs and wooden finishings. Hot chocolate heads the menu (of course) at CNY22 per cup. Other drinks (alcoholic and non) range between CNY30-40, some of them served in rather small glasses. Snacks, local and Western dishes cost between CNY18-28. Check out the dish of the day. This entertainment center has three different areas: a jazz listening room, a dance club with live bands playing the latest tunes, and a KTV (karaoke) where you can sing in your own private room. There is also a tapas bar serving delicious Creole dishes. Like everything else in the recently constructed Jin Mao Building, the different areas of Pu-J's are designed with lots of glass and steel. Tapas range from CNY 30-50. This is one of the oldest bars in Shanghai. Fashion shows are held here regularly, but it is also the place to watch sports. 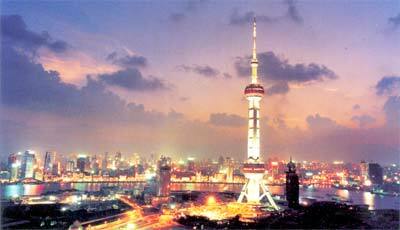 It is located in the Shanghai Center, which contains the Portman Ritz-Carlton Hotel , shops, restaurants and more bars. An intimate place, it features a long bar (hence the name) which runs the span of the room. Frequent guests get their own private beer mug! Burgers, salads and Mexican food are available. Happy hour is 5pm to 8pm on weekdays and 3pm to 8pm on weekends. The main attraction of this stylish hotel bar is the extensive collection of cigars and whiskeys. It features nightly performances by the jazz band, Jacque Tara Washington Jazz Trio from 9pm to 1am. Now, after recent renovations, it is hard to imagine that the space was once a fairly ordinary hotel corridor. Comfortable armchairs, low tables and the bar create an elegant atmosphere, which fits well in the five-star Portman Ritz-Carlton Hotel . The historically famous Peace Hotel hosts this equally famous live music bar. One of the jazz bands was the original band that performed here in the 1930s. Persecuted during the Cultural Revolution, the group disbanded, but recently the members regrouped. The bar has been renovated many times since a bomb damaged the hotel's ground floor in 1937, but the vintage flair is maintained with art deco lighting and windows. Drinks are pricey, ranging from CNY50 upwards; sandwiches and snacks fall between CNY30 and CNY120.